OK, this is going to be one of my very rare posts where I actively dislike somewhere we have been. It is more the sense of what could have been that is disappointing. 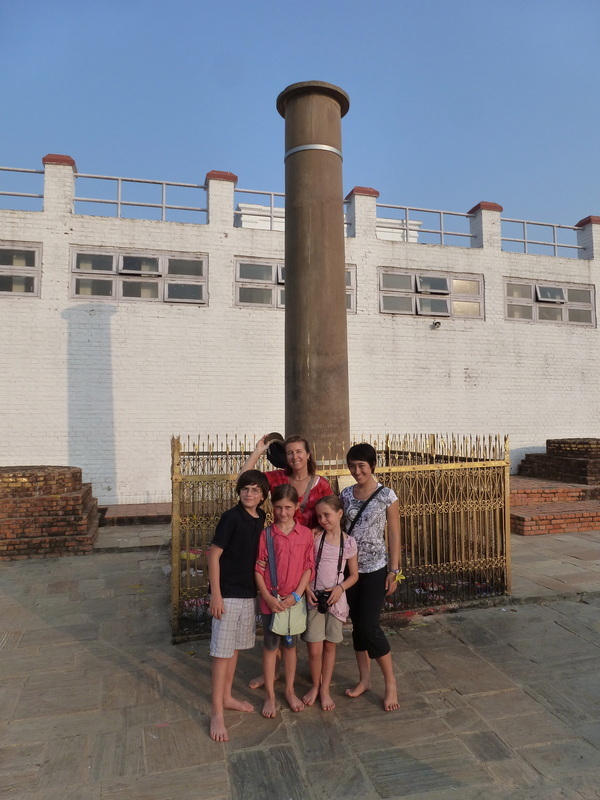 Lumbini should be one of the holiest places on earth. It is the actual, known birthplace of the Lord Buddha. Irrefutable evidence records the birth of the noble prince Siddharta right here in 623 B.C. Apparently it was then the habit of 9 month pregnant queens to stroll through rice fields. Actually, she was on her way to pay her respects to her father in law seemingly with plenty of time to get back to the palace before any birth pangs. So the Buddha’s mother, Mayadevi, was strolling (more likely waddling as anyone who has been 9 months pregnant will attest) along when she saw a beautiful garden complete with a blissfully cool pond. Since this was May and probably 120 degrees Fahrenheit, she did what any sensible person would do and waded in. At which point, whoops, the birth pains began. Mayadevi got out, took 23 steps and reached up to hold onto the branch of a Bodhi tree and, presto, little Siddartha was born. According to legend, he immediately took seven steps each which was marked by a lotus blossom. This spot was already revered within the Buddha’s own lifetime, the first temple on the site rose a few decades after his death. So one would expect something fairly impressive by this time, no? Probably something equivalent to the Tai Majal or St. Peter in Rome, right? Sadly, no. There is nothing with that level of majesty or dignity. There is a small, plain white building enclosing some of the ruins of the old stupas and temples that rose and fell over the years and in the center of all the rubble is one unimpressive glass box enclosing the actual spot where Siddartha first touched the earth. Visiting monks do what they can, sprinkling holy water about them as they circle the site but there is not even enough room on the narrow path for them to line up and jointly pray. It is a sad testament to Nepal that they have done so little with this place. 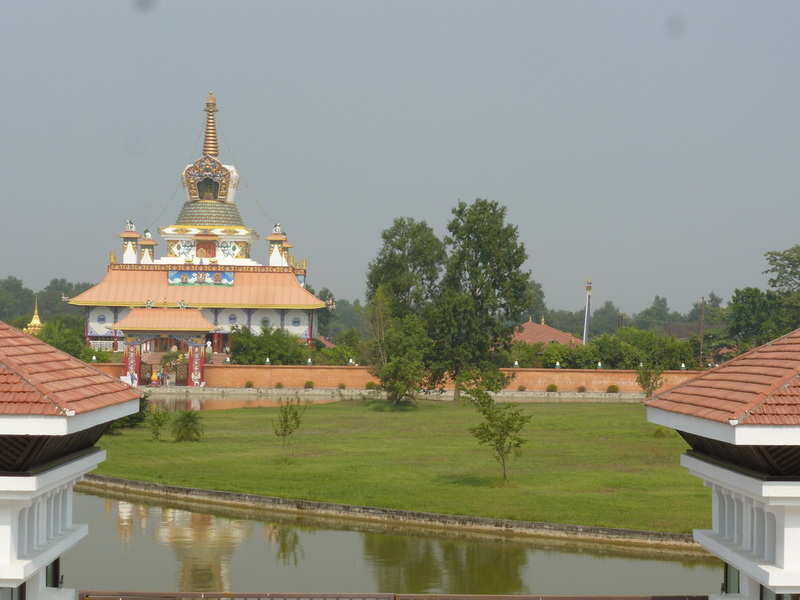 In the 1970s the rest of the world got together and declared Lumbini a UESCO Heritage site. All the Buddhist countries came together to create an International Monastic Zone - a kind of a Olympic village for monks with each country building its own representative Stupa, Wat or Temple. 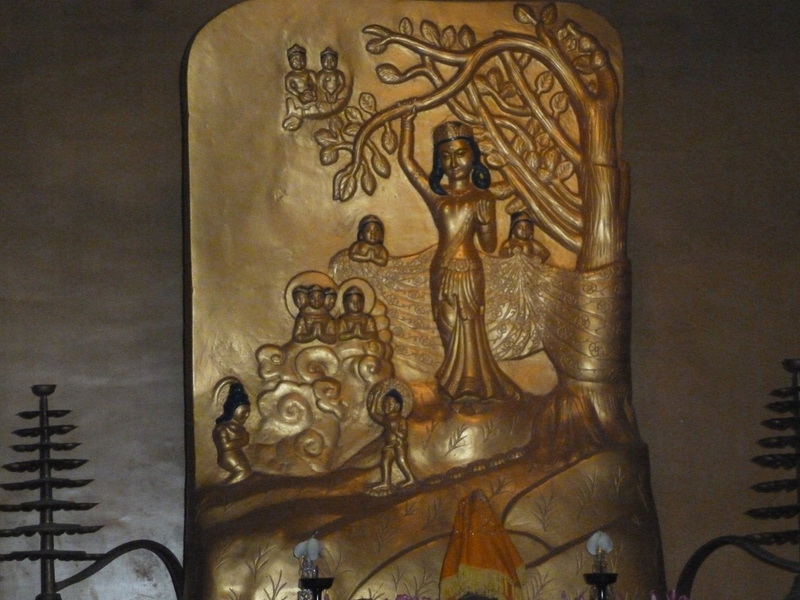 They hoped to turn the Buddha's birth place into a vast template for World Peace. If you get just the right angle, from just the right vantage point, you can just about crop out the piles of litter, dead end dirt roads, perpetually unfinished construction heaps and imagine what this place could look like. A Japanese architect created a master plan which in theory looks elegant and calm. The idea is to walk or cycle from one architectural gem to another. 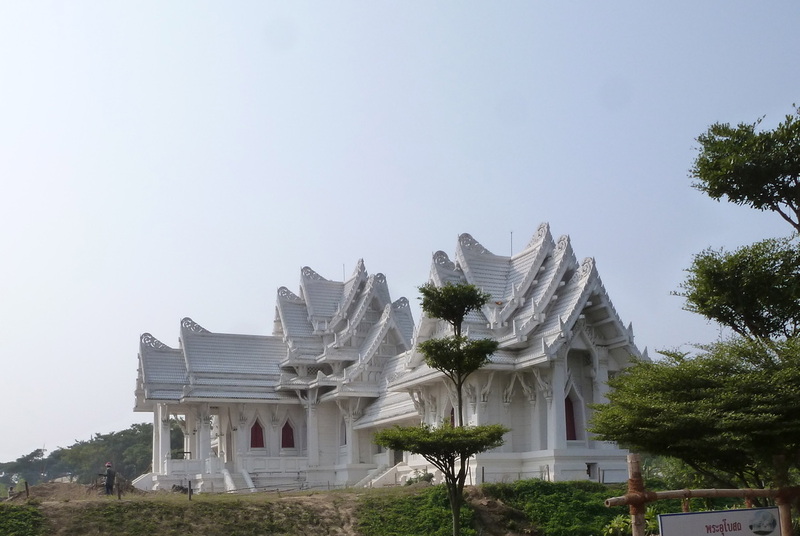 There is the Thai Wat with it's traditional soaring roofs. 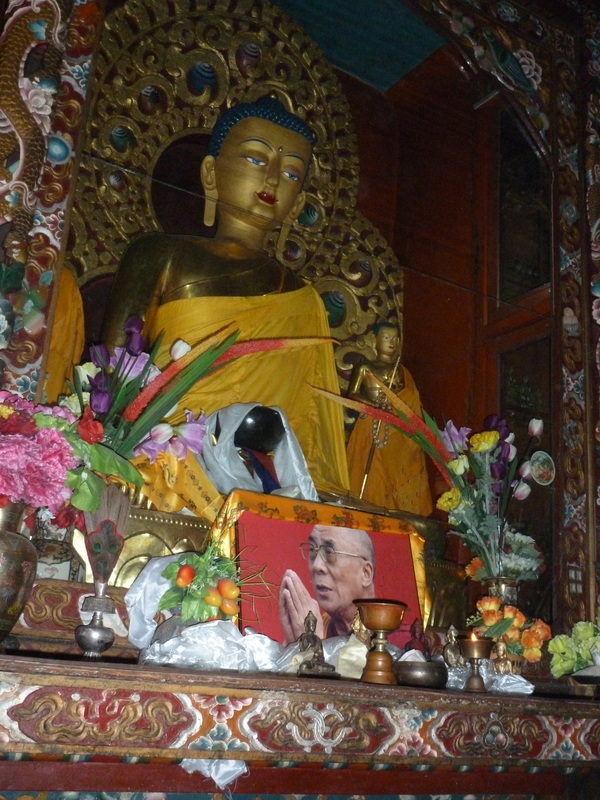 There is the Tibetan site with it's portrait of the Dali Lama. How did they get that past the Chinese I wonder? Was it paid for and built by Tibetans outside of Tibet? 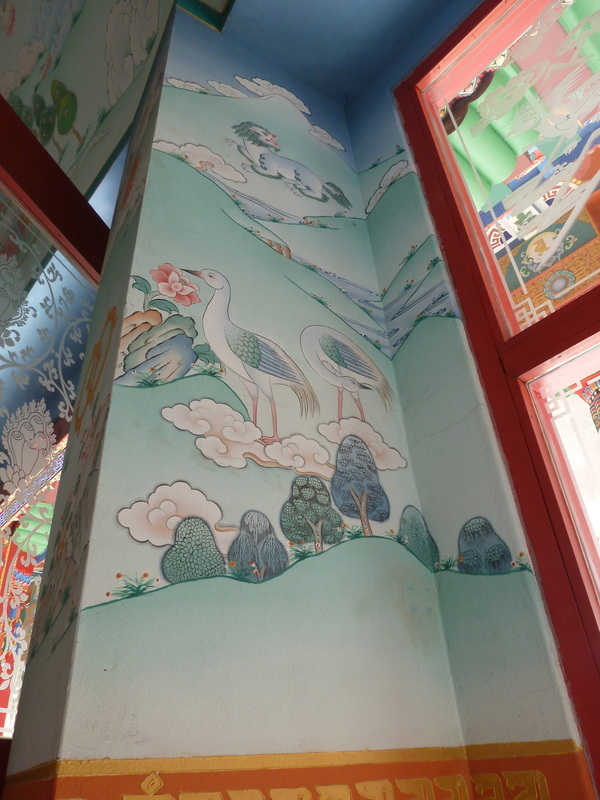 There is the German one with its really impressive murals. Having spent the last six weeks traveling through China, Tibet and Bhutan becoming more and more enamored with Buddhism, we were looking very much looking forward to this final stop in Nepal. It must reek of holiness we thought. It should be a superb place to put away one’s petty frustrations and feel the pull of the world coming together in harmony, We envisioned an ideal day spent biking from one spiritual center to another. If we found a giant prayer wheel to spin, we would whisk our wishes up to heaven. Well, not quite - it turned out to be an exercise in frustration and dashed hopes. The guide who was supposed to meet us never turned up. After waiting two hours, we rented some bikes and set off on our own. When we then ran into him at the compound leading a large group of Italians, he was entirely unrepentant. Just as well, as neither we nor the Italians could understand his english. Sadly, the central canal which is supposed to be a symbolic lotus pond is empty, filled only with decaying waterlillies. It is imposible to actually bike between the monasteries or temples since the wandering dirt roads littered with trash either end without notice or are blocked by construction so you have to keep doubling back and circling around, traveling six times the distance in convoluted directions. There is a map showing perfectly straight lines but either they have changed where the buildings went up or the new ones still in construction have forced detours but there is certainly no relationship to what is actually on the ground - the building marked on as Nepalese is German, the one you expect to be Japanese is Egyptian, etc. What should be an impressive or at least meditative illustration of countries of the world united in feelings of peace and harmony becomes instead a dusty, dirty example of incompetence. Say many things about Disney, but at least their small world is clean and has functioning toilets. Moreover it did not take 40 years to finish. The final straw was the pathetic state of the bikes we rented - each and every one dropped it’s chain at least once during the day. Poor David Evan had at least six breakdowns. It is a central tenet of Buddhism that this world is an illusion based on misunderstanding. 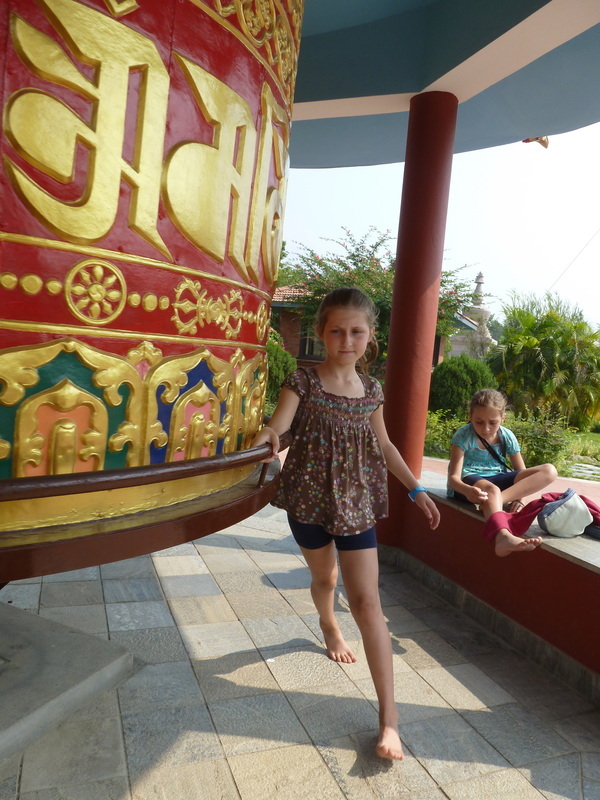 Perhaps that was the lesson we were supposed to learn in Lumbini?